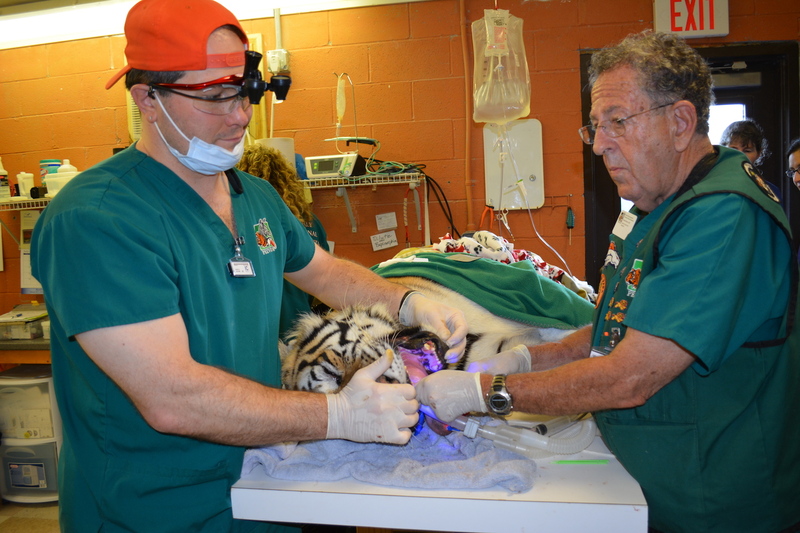 At Noah's Ark, Dr. Hall and Dr. Dyer work on Top Cat. Not-quite Octopus Dentistry on Tiger Lilly at Noah's Ark. Noah’s Ark is a 501(c)(3) non-profit Animal Sanctuary dedicated to bringing children and animals together with the purpose of providing unconditional love, unconditional service, and a future full of hope. Mild winter weather allowed five PEIVDF doctors and a technician to return for our sixth mission to Noah’s Ark. 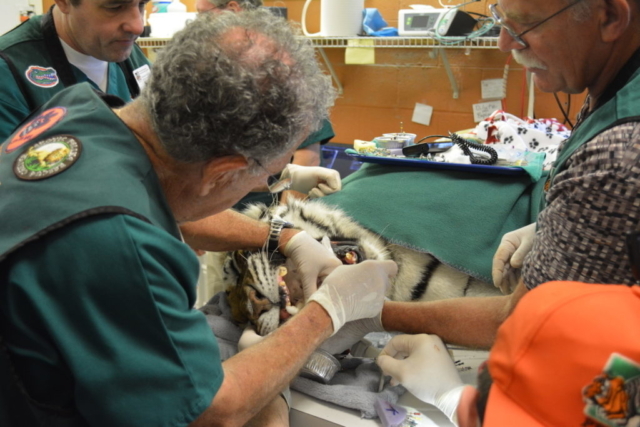 Six residents were treated: a tiger, a black bear, a macaque, a lemur, and a wolf hybrid. 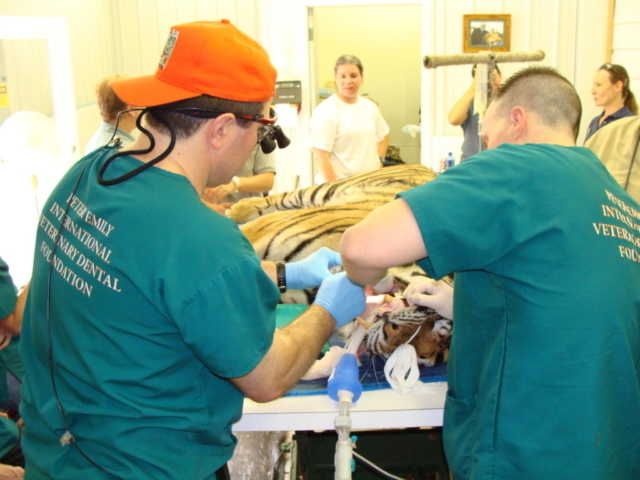 The staff performed (3) root canal therapies, (7) extractions, and (1) radiographic survey only. Having learned our lesson, a team of eleven from PEIVDF returned to Noah’s Ark again in November of 2015 to treat (8) residents – (4) more birds, (3) bears, and a wolf. 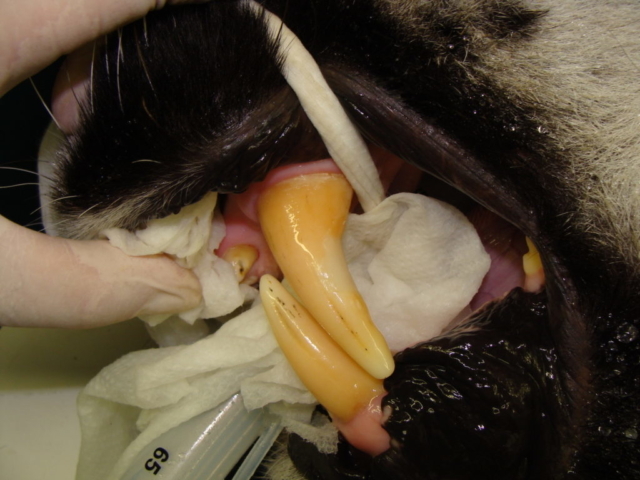 A total of (28) procedures were performed during the busy weekend, including (13) root canal therapies, (9) extractions, (2) oral surgeries, and (4) beak equilibrations. We returned for our fourth mission to Noah’s Ark in blessedly cool November of 2014. 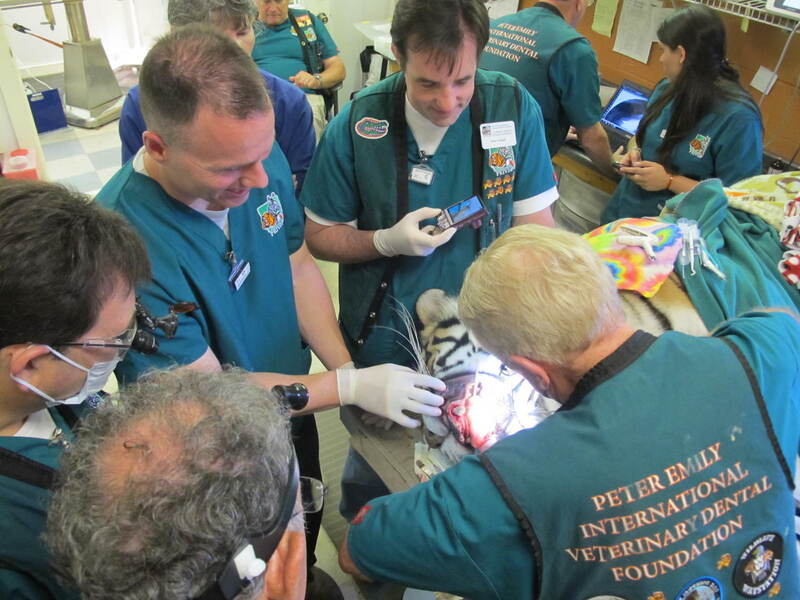 A small team of five from PEIVDF treated seven patients, including four more birds, a bear, a lemur, and a primate. Patients received (3) root canal therapies, (2) exams-only, and (8) other procedures. Our third mission to Noah’s Ark took place on the weekend of July 26-27, 2014. A large team of (17) doctors and technicians from PEIVDF made the trip to sultry Georgia in July to treat a large roster of (16) patients, including (3) lemurs, (3) primates, (4) birds, (2) kinkajou, (2) bears, a coatimundi, and an African wild dog. 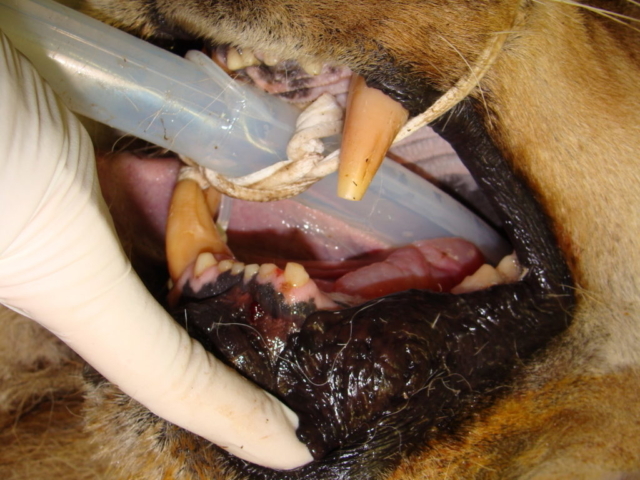 Patients were treated with (3) root canal therapies, (30) extractions, (5) oral surgeries, (2) exams-only, and (4) “orthobeakic” procedures. 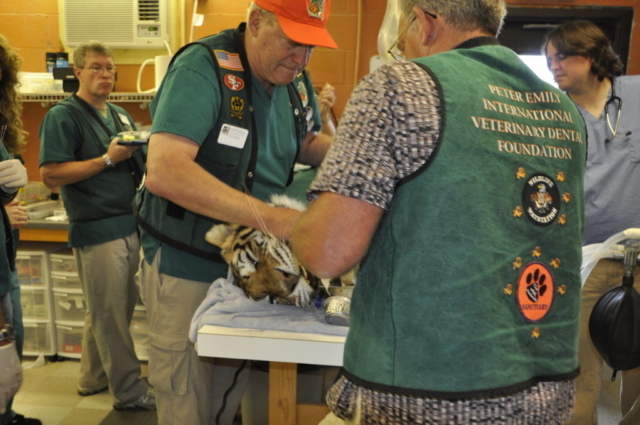 In hot, steamy July 2013, PEIVDF returned to the Noah’s Ark Rehabilitation Center in Locust Grove GA, just outside of Atlanta. 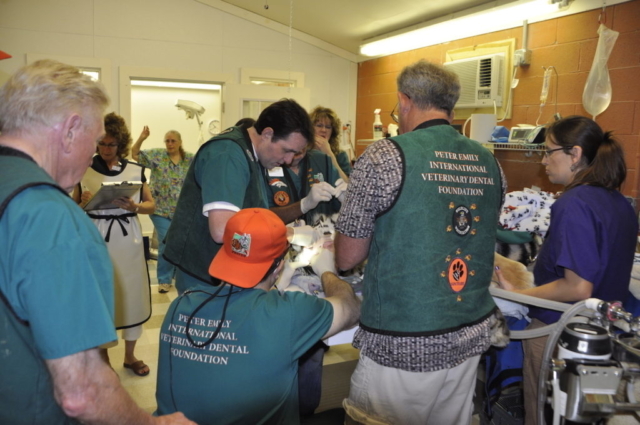 During this two-day mission, PEIVDF was incredibly busy, treating 18 patients! The patient list included one tiger, 4 wolves, one spider monkey, 2 coatamundi, 2 kinkajous, and 8 birds! 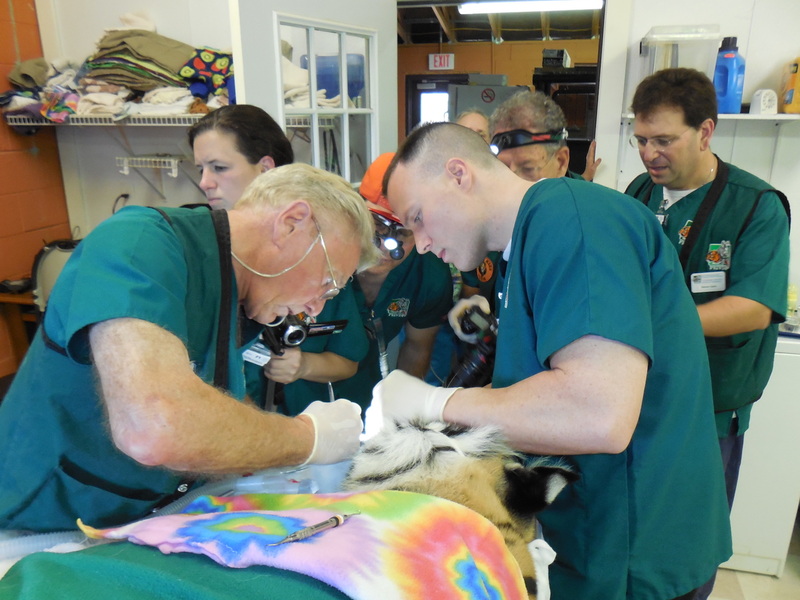 This mission was a great learning experience for attendees, as Dr. Emily was able to educate on his innovative “orthobeakics” methods for diagnosis, analysis of treatment, and beak repair techniques. Three new students joined PEIVDF, and our first official tourist was in attendance. 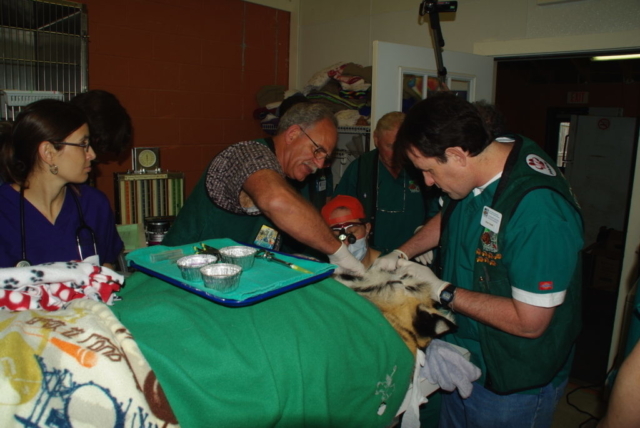 In December 2012, PEIVDF made its first visit to the Noah’s Ark Rehabilitation Center in Locust Grove GA, just outside of Atlanta. 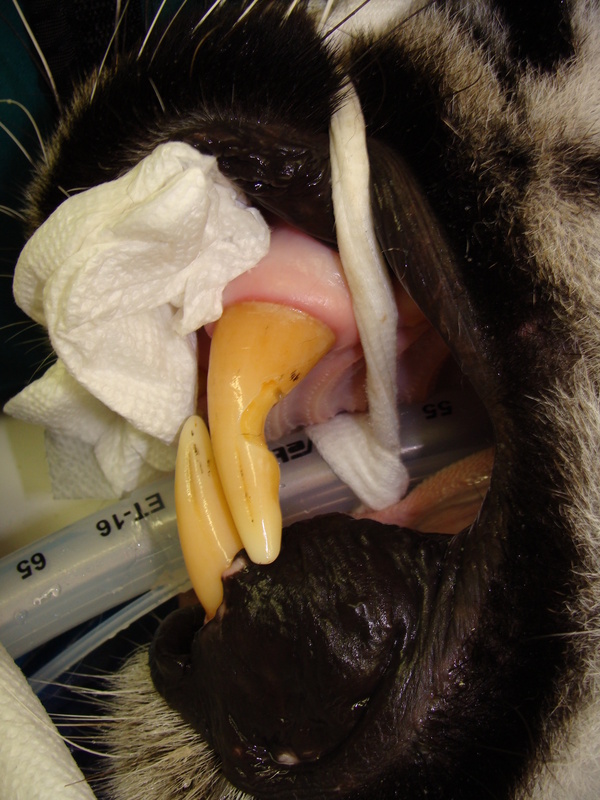 During this two-day mission, PEIVDF treated three Capuchin, one white-handed Gibbon, and a wolf. 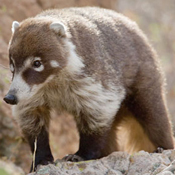 PEIVDF also examined another five Capuchin and a spider monkey, for prioritization on its next mission. 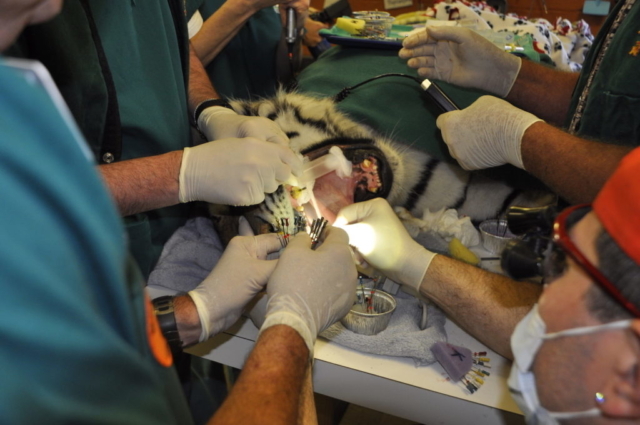 Nine standard and one surgical root canal therapies were performed, along with seven extractions, one restoration, two oral surgeries, and one pulpotomy.